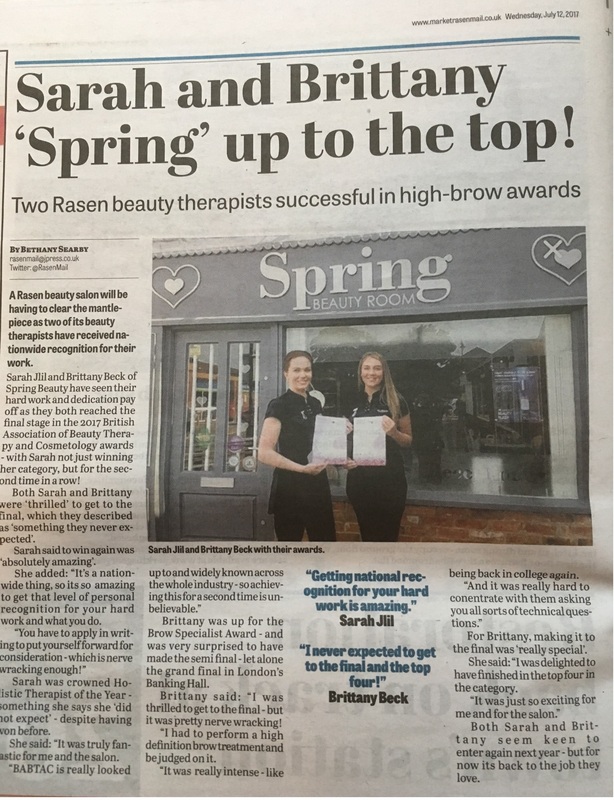 ‘Rasen beauty salon is a cut above the rest’. BABTAC Vitality Magazine, September/October 2017 Edition. BABTAC Vitality Magazine, July/August 2017 Edition. 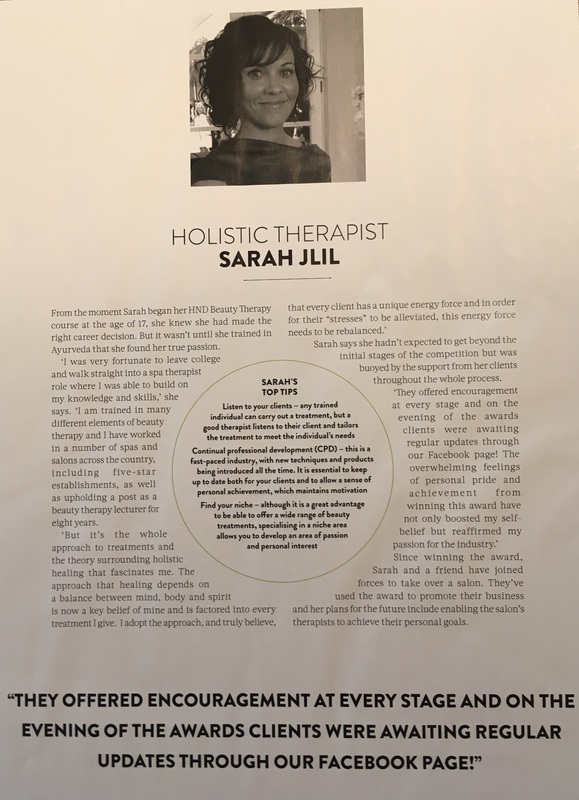 BABTAC Vitality Magazine. March/April 2017 Edition. 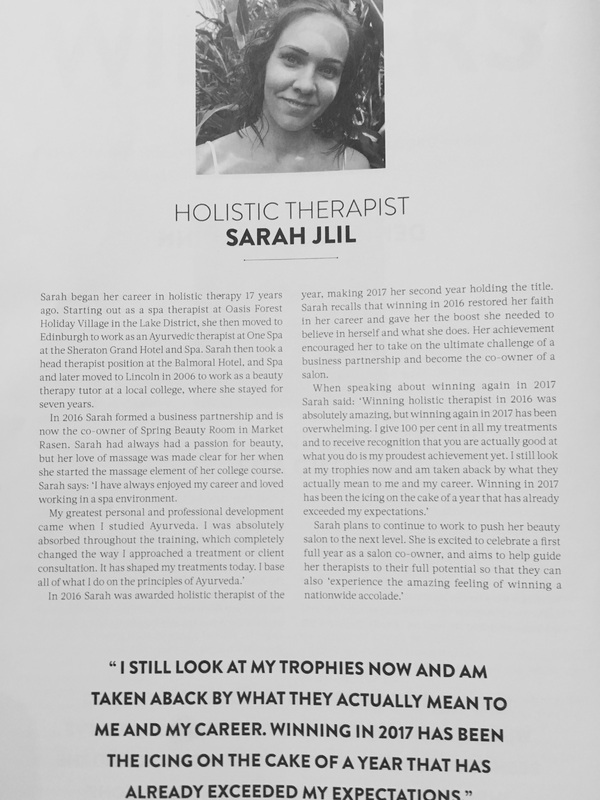 ‘Meet the Winners of the BABTAC & CIBTAC 2016 awards’ Holistic Therapist Sarah Jlil. BABTAC Vitality Magazine, January/February 2017 Edition. 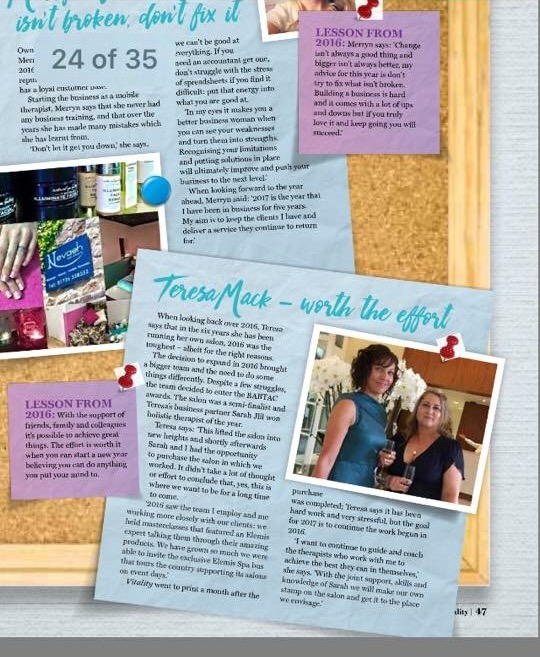 ‘Worth the effort’ Teresa Mack. 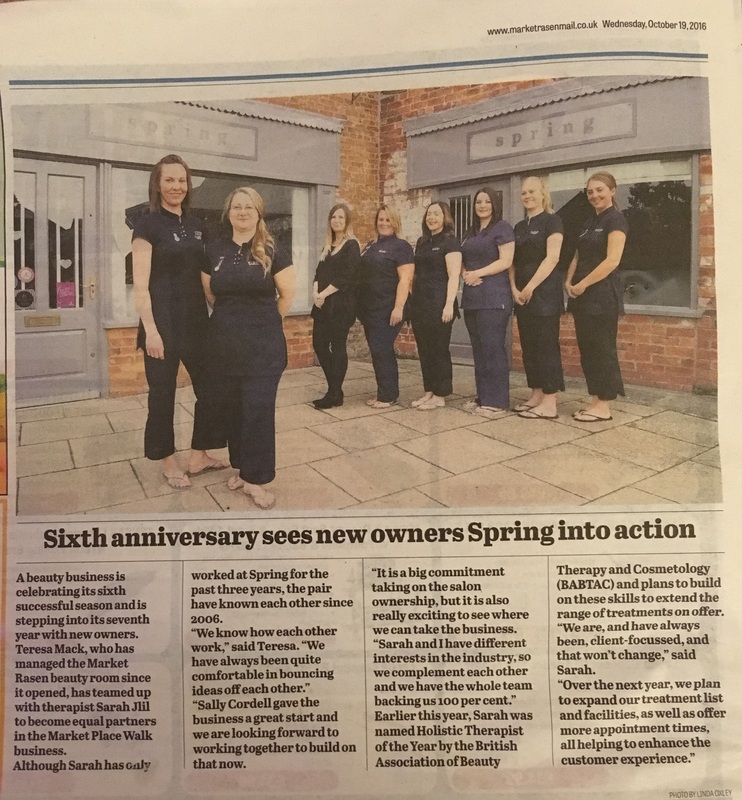 ‘Sixth anniversary sees new owners Spring into action’. BABTAC Vitality Magazine, July/August 2016 Edition. 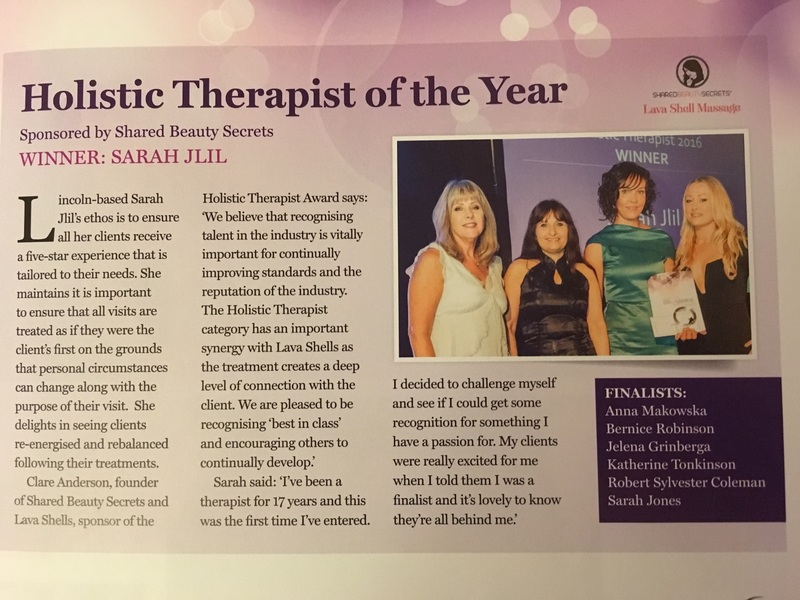 ‘Holistic Therapist of the Year winner: Sarah Jlil’. 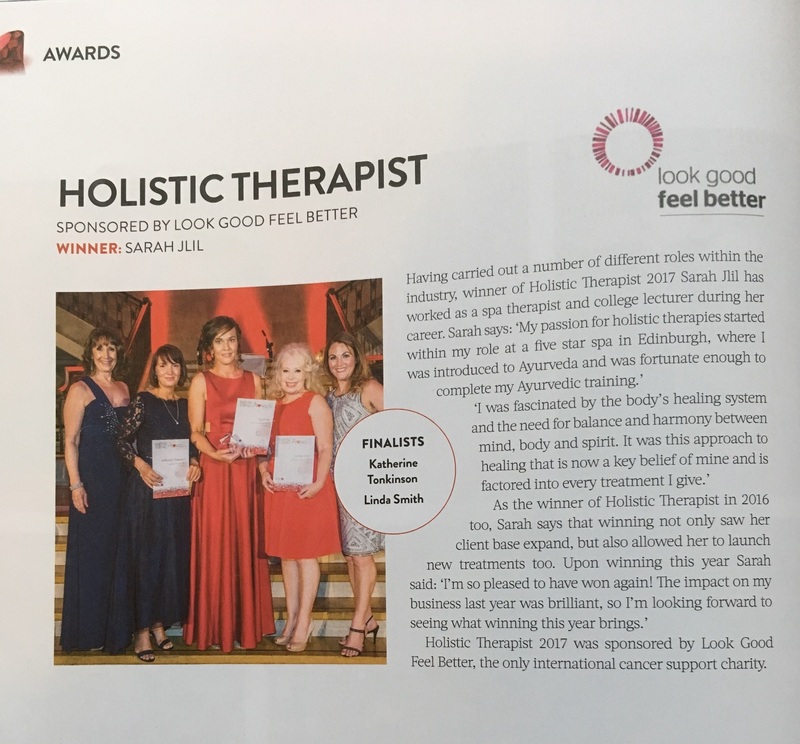 ‘Sarah springs to a national award win. 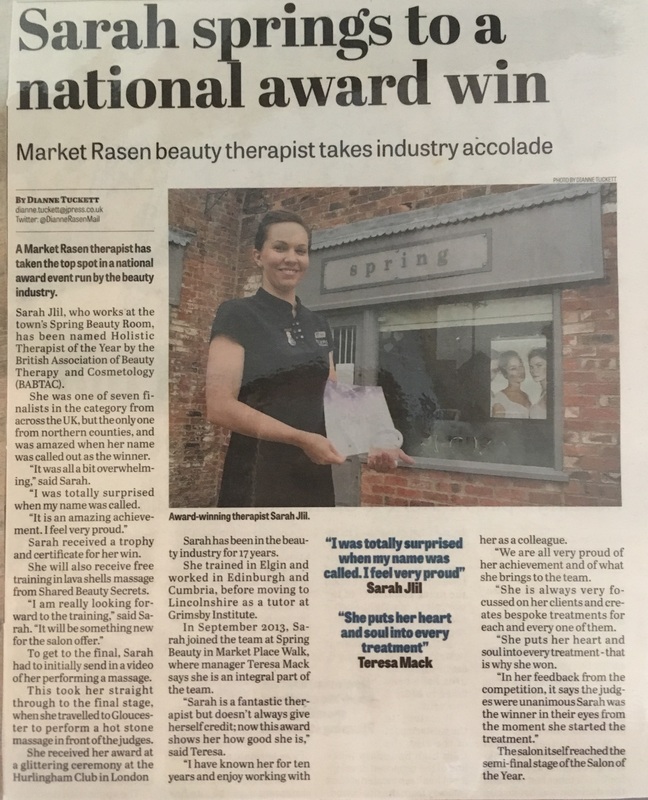 Market Rasen beauty therapist takes industry accolade’. Previous : Job Vacancies | Next : Download our App!